The combination of green color with pale green and blue creates a perfect piece of art that your home really deserves. It is woven in a hand-knotted technique using pure silk and cotton material. This is ideal for a living room. 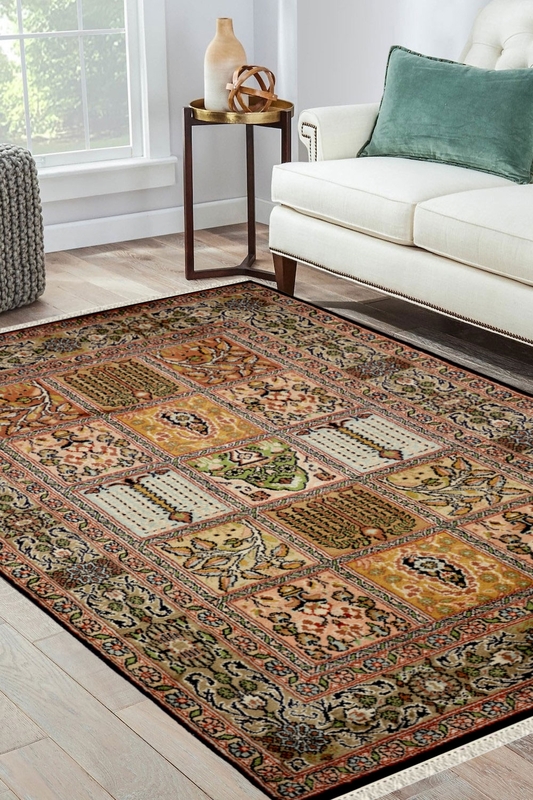 Give your home a beautiful look with this classic exquisite Silk Rug from India. With the amazing Hamadan design and use of vibrant colors, this silk rug from India can become the most beautiful addition to your interior collection. This is made in silk and cotton material. Warp is in cotton and weft is in silk. The number of knots is 324 per inch. It is a highly durable rug.